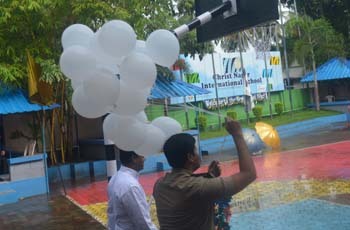 The re opening function of the school was held on 8 June 2018. 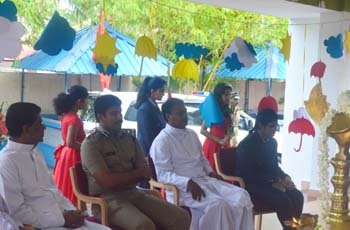 The function was inaugurated by the Chief Guest Mr. P. Prakash IPS, Commissioner of Police, Thiruvananthapuram in the presence of Rev. Fr. Joseph Vattaparambil CMI, Manager, Christ Nagar group of schools, Rev. Fr. Thomas Chennatusery CMI, Principal, Christ Nagar International School, Mr. Thomas Mani, Academic Co ordinator, staff, students and parents of Christ Nagar International School. 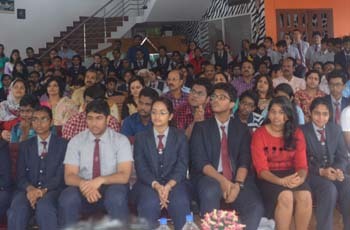 Highlighting the importance of following the rules and self motivation the Chief Guest ignited a new thought into the minds of the staff and students of the school. Releasing the balloons up in the air not only marked the official commencement of the new school year but also symbolically showed the path of elevating sky high during the year. The school also celebrated the success of excellent Cambridge IGCSE Results which saw 12 distinction holders and 13 merit holders. The students were awarded for their achievements. The school found the day apt to release the school magazine – Vivacité 2018, which refreshed the memories of the previous academic year 2017-'18. 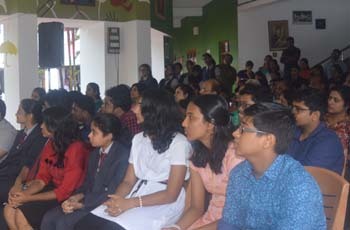 The release of the school magazine signalled a reminder of making the present year also as eventful as the previous one.